At first, let’s go over the SFP+ transceiver definition from SFP+ transceiver wiki. 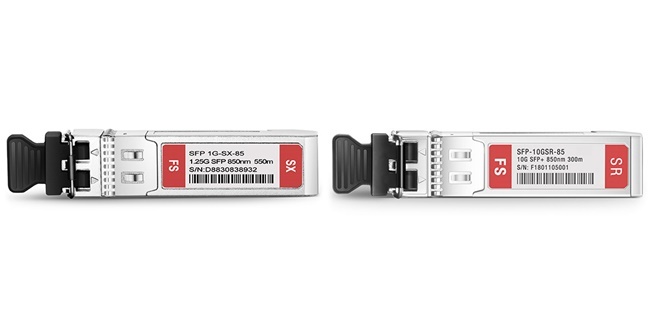 In short, the SFP+ transceiver is the enhanced version of SFP module. 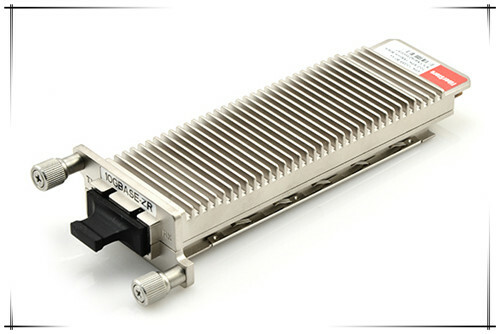 It is a compact, hot pluggable optic module transceiver used for telecommunications and data communication applications. 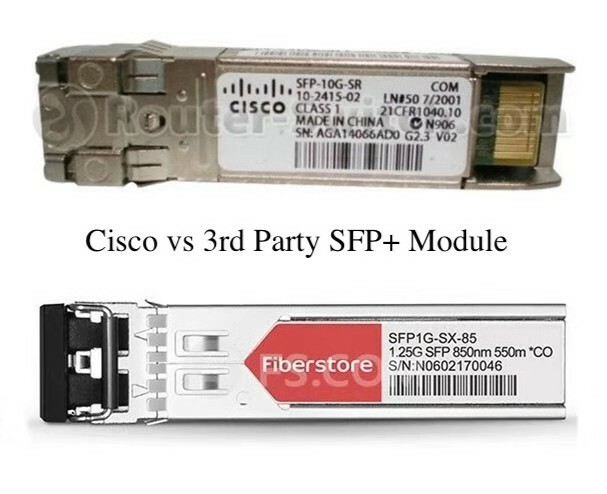 (If you want to get more details about how to use SFP+ transceiver, you can refer to the article A Complete Guide of Installing or Removing Transceiver Modules.) 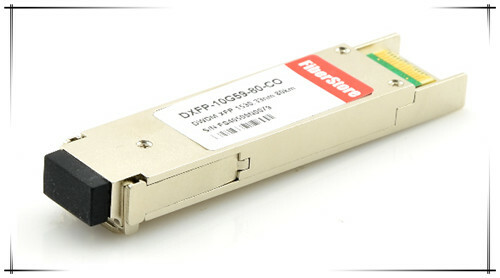 There are many types of SFP+ modules, among which the tunable DWDM SFP+ modules is a very important one. This entry was posted in SFP+ transceiver and tagged DWDM SFP, sfp modules, Tunable DWDM SFP+ on September 4, 2018 by Camilla.Zhang. Who is the Winner of 10G Transceiver? 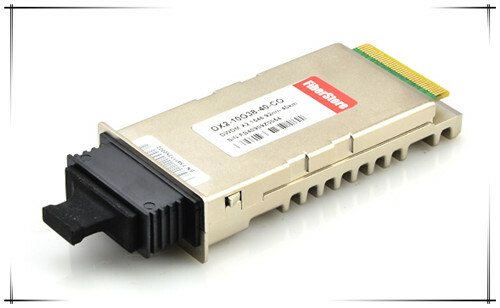 10G transceiver refers to optical module which can transmit and receive the data signal of 10 gigabits per second. 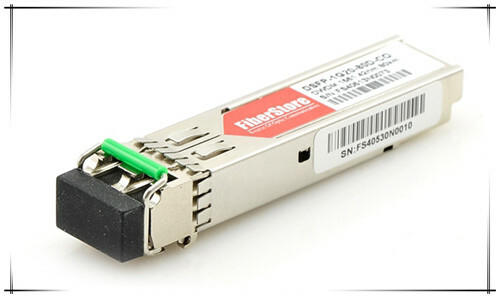 Typically, the fiber optic transceivers including 10G XENPAK, X2, XFP and SFP+ (small form-factor pluggable plus) are widely used for 10 Gigabit Ethernet. But who is the winner among these transceivers? From the following introduction we may find some clues. As the first published form-factor 10G transceiver, the XENPAK, was by far the largest in physical size. 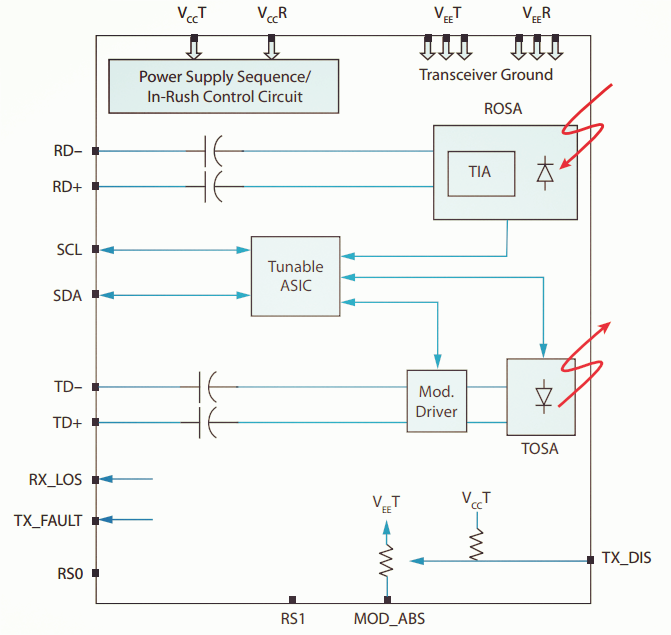 This standard was driven primarily by large systems vendors and was intended to support essentially any optical application a system vendor may want to deploy. At the time this multi-source agreement (MSA) was published, 10Gbps optical interfaces supporting transmission distances of 80km or more were of a size and heat dissipation that required a relatively large (by today’s standards) package size. Many in the industry recognized the size of the XENPAK as very limiting factor and began working on alternative standards. Over the following two years three alternative MSAs were published, called: X2 and XFP. When these standards were written they were intended to enable optical interfaces supporting up to about 10 km. The X2 and XFP form-factors both saw considerable deployment. As optical technology has advanced over the last ten years, X2 and XFP modules have been developed that support all of the high-power, long-distance applications once reserved to the larger XENPAK transceivers. Five years after the first 10Gbps optical transceiver standard was issued, a new MSA was published called the “SFP+”. This agreement has been the basis for the most commercially successful 10Gbps optical transceivers by a large margin. Flexibility The SFP+ standard builds on a previous one, the SFP MSA (primarily a 1Gbps standard). 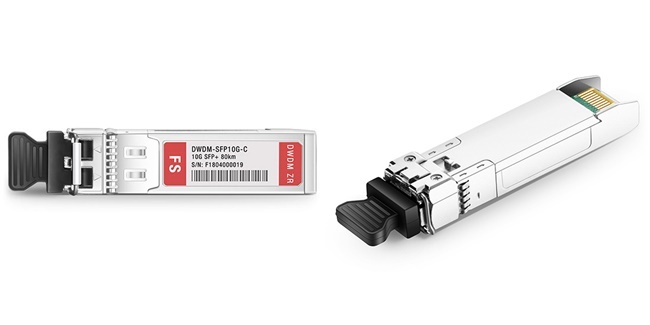 SFP+ modules are the same physical size as SFPs and the SFP+ standard allows for either type of module to operate in the new SFP+ slots. 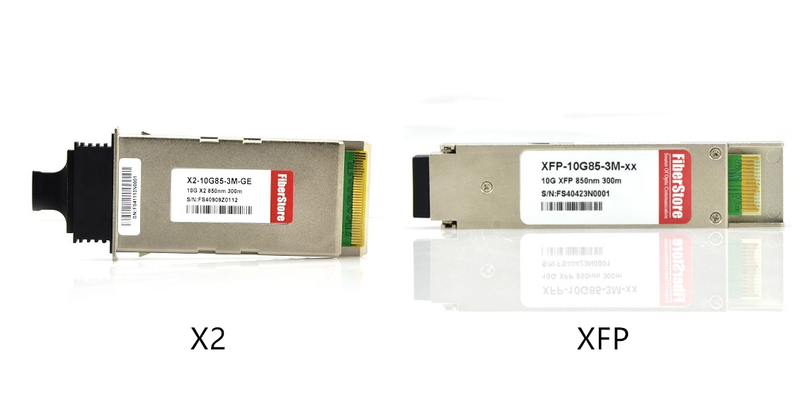 Small Size SFP+ modules are one tenth the size of the original XENPAK 10G modules and are the same size as the popular 1Gbps SFP modules. This small size allows the design of systems with 10G ports of the same density as previous generations with 1G ports. When considering new or used equipment for a new network build or expansion, attention should definitely be given to the type of 10G ports in that equipment. One important reason is capital costs. Older gear offering XFP, X2 or XENPAK ports may be attractive due to what seems like very low prices. 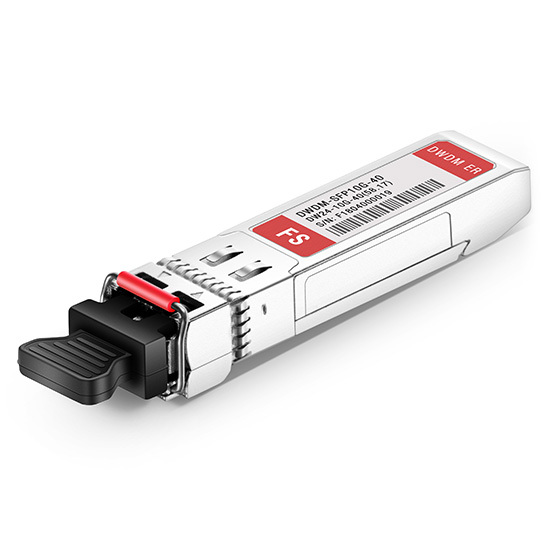 However, the cost of equivalent 10G optics in those older form factors is twice to three times the price of SFP+ based modules. Therefore, when the cost of the optics are included, total system costs may end up higher. 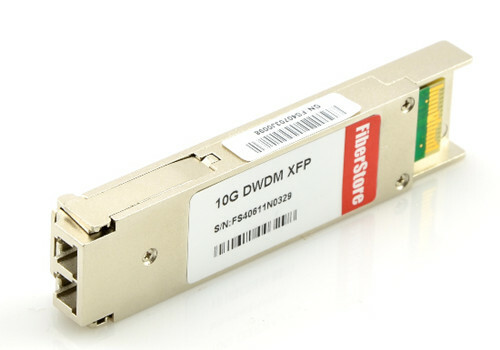 The older XFP, X2 and especially XENPAK gear, both the host system and the 10GBase optical modules, consume considerably more power than the new SFP+ modules. Power costs include capital outlays for larger power/battery plant as well as operational cost of the electrical power itself. Depending on the location, space in equipment racks can be quite expensive. 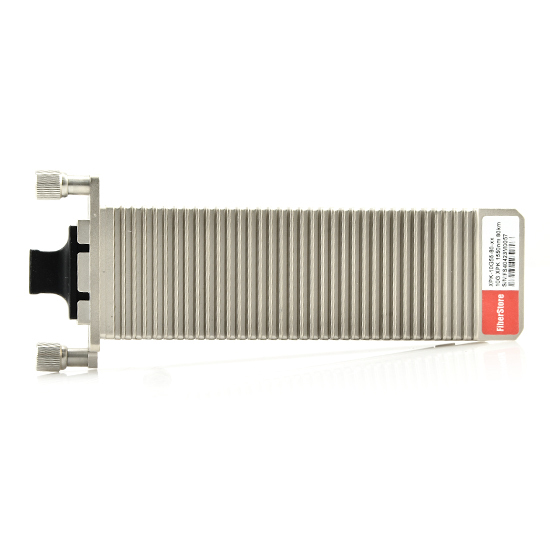 Equipment utilizing the older 10Gbase interfaces is almost always substantially less dense, consuming more rack space per 10G interface available. From the above, there is no doubt that SFP+ wins the battle. 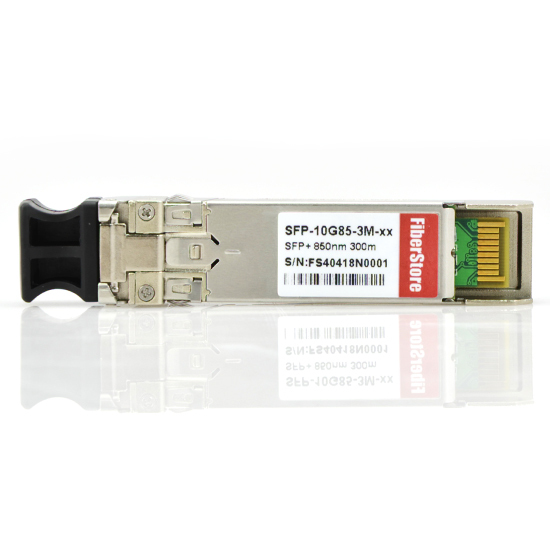 In consideration of the advantages in cost, size, power and flexibility of supportable optical interfaces, SFP+ is preferred among the 10G transceivers. So far, there has not been any new standard for 10G network due to a higher speed demand of Ethernet. 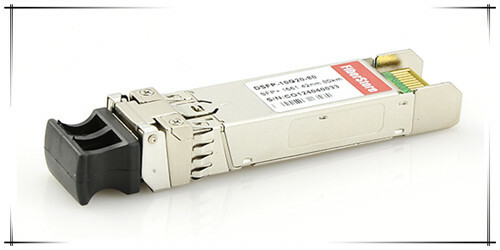 Thus, SFP+ transceivers will remain to dominate the 10G transceiver market. This entry was posted in SFP+ transceiver, XFP Transceivers and tagged 10G SFP+, 10G transceiver, 10G X2, 10G XENPAK, 10G XFP on May 6, 2016 by Admin.